Vintage Cellars is pleased to announce the new WhisperKOOL SC series. 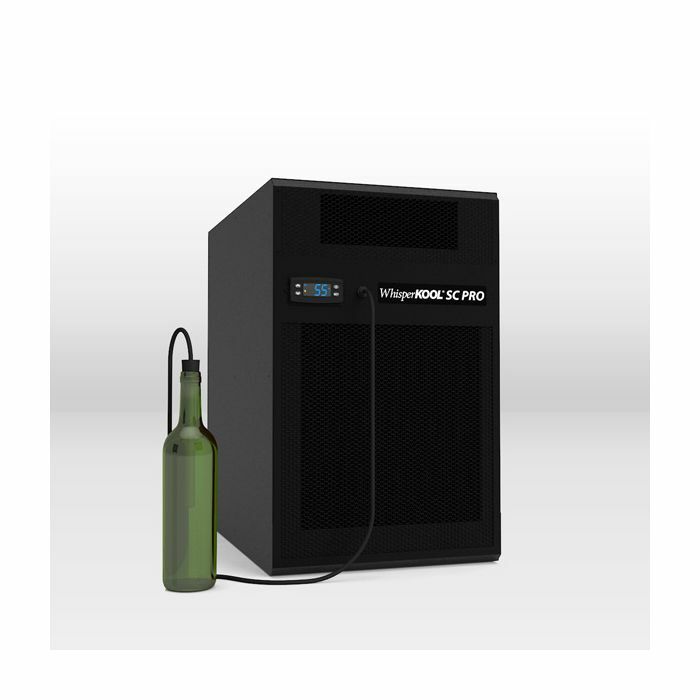 The WhisperKOOL SC cooling units replace the WhisperKOOL XLT series, a long-time popular product for wine connoisseurs looking to provide their wine with the most consistent environment possible. The new WhisperKOOL SC series maintains all the features of the WhisperKOOL XLT products, with additional tweaks and adjustments based on years of customer feedback. The WhisperKOOL SC series is also housed in an all-new casing. WhisperKOOL SC cooling units, like their XLT predecessors, come in five sizes to suit wine cellars up to 8000 cubic feet. 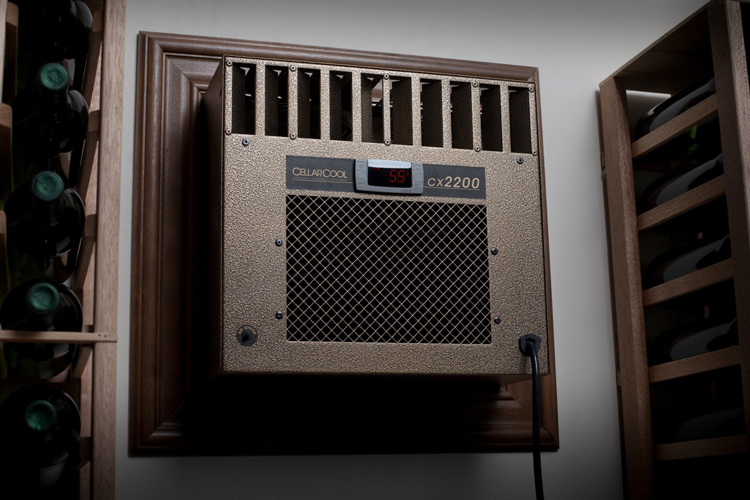 The smallest SC cooling unit is designed for cellars up to 300 cubic feet, allowing you to select an efficient model for your smaller cellar. If you have a WhisperKOOL XLT cooling unit in your wine cellar now, rest assured that you will still be able to purchase WhisperKOOL XLT parts and accessories for the foreseeable future. When your XLT cooling unit is in need of a replacement, the WhisperKOOL SC series cooling units are direct replacements for WhisperKOOL XLT cooling units, so the upgrade should be low-fuss. If you have any questions about your cooling unit needs, please don’t hesitate to call or email us. The Vintage Cellars team is always pleased to work with wine lovers to get the ideal wine storage environment, whether you’re looking for a new WhisperKOOL SC unit, parts for your existing WhisperKOOL XLT cooling system, or other wine cooling needs. If you’ve ever wanted a way to put wine storage in your dining room, living room or other social space without altering the look and feel of your space, EuroCave‘s fine-furniture looks will definitely be to your liking. 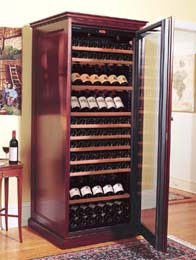 Today, I want to feature one of the most elegant wine cabinets on the market: the EuroCave Elite 283 with glass doors. The EuroCave Elite series features solid beechwood cabinetry in a choice of 8 finish options, including the choice of leaving it unfinished so that you can have it custom finished to match other furniture. As you can see in the above photo, EuroCave’s finishes are rich and almost mirror-shiny. 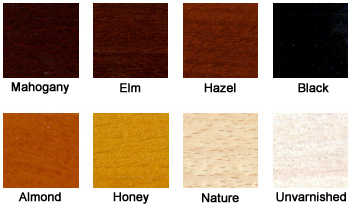 We have mahogany finished cabinets available on the website, but you can call us to order another finish. Our staff will be happy to help you choose the right options for your EuroCave cabinet. EuroCave Elite cabinets are available in 7 finish colors or unvarnished so you can have it finished to match other furniture. Your EuroCave Elite 283 single-temperature cabinet comes with 2 adjustable shelves, one display shelf and four beech-trimmed rolling shelves. But if you like to customize, you’ll be pleased to know that you can order adjustable display shelves, rolling tasting shelves and presentation shelves as upgrades to your cabinet. Seen through the glass door, the wood-trimmed shelves add to the rich looks of this French-styled cabinet. But if you prefer, you can also get this cabinet with a solid wood door. The EuroCave Elite 283 holds approximately 223 bottles, depending on shelf configuration and the size of your bottles. It will keep each and every bottle perfectly chilled, and with humidity management systems it will also keep the corks in great shape so you’re never disappointed by corked bottles. If you like to store both reds and whites, you may want to look at the multi-temperature version as well. Basically, EuroCave has thought of everything; the EuroCave Elite cabinets combine elegance and style with top of the line cooling and humidity management, along with enough options to ensure you get exactly what you want from your wine cabinet. Oh, and did I mention: The EuroCave Elite wine cabinets are currently on sale for around $1000 off their regular retail price. Find a better price somewhere else? We’ll do our best to match it. Just give us a call at 1-800-876-8789. This morning, I was doing something that you may very well have been doing just seconds ago: Browsing the web for wine-related news. I came across an article (a well-illustrated one, too!) 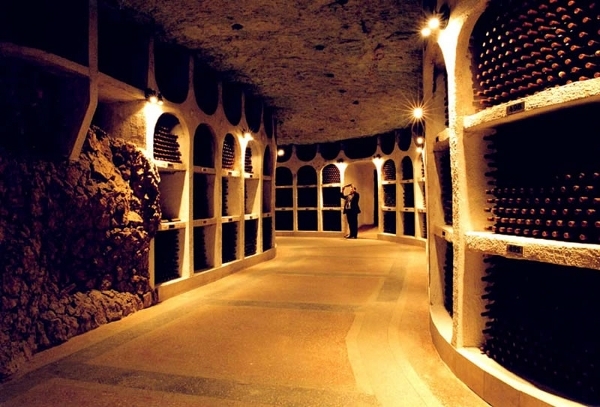 about the underground wine cellars of Moldova. Now odds are good that you can’t find Moldova on a map (I can’t), and you may never have even heard of this tiny eastern European country. However, Moldova is apparently the 7th largest wine exporter in the world, and the limestone-mines-turned-wine-cellar house hundreds of bottles of wine. These cellars have made the town of Cricova a tourist attraction worthy of being visited by wine enthusiasts in particular, although the beauty of the area attracts a variety of tourists. This all got me thinking about wine storage tourism. We’re all pretty familiar with the idea of wine tourism–Napa Valley, French wine country–but you don’t hear about wine storage tourism, by which I mean travel aimed at seeing historic wine storage sites. The mine-cellars of Moldova cannot possibly be the only historic wine storage site worthy of tourist traffic. Have you ever been on a wine-storage tourism jaunt, or included a wine storage site in your itinerary? We’d love to hear about where you went and what you saw! …and as this infographic points our, you can always drink your failed investments, a pleasure that certainly doesn’t apply to failed real estate or stocks. The best investment wines are almost always the higher-priced wines from longstanding winemakers. Those bottles are more likely to remain in high demand than are lower-priced wines. Wine is a market of tradition–pedigree and provenance are key. When buying wine as an investment, it’s important to buy from a trustworthy source–just a few days in bad conditions can significantly damage a wine, and you won’t be able to tell by looking at the bottle. The web has become a massive marketplace for wine (and everything else! ), but buy with care. The same applies for when you sell your investments, though–if you haven’t taken perfect care of your bottles, they won’t be worth top dollar. All the more reason to build a good wine cellar! The infographic below covers some more details on the performance of investment wines (look how it compares to the stock market over the last few years), as well as a few other “alternative” investment options…none of which are drinkable, unfortunately! Three Vintage Cellars custom wine cellar projects were recently featured in Wine Spectator magazine. You can click that link to see the original article; in this post we are focusing on the details of one of the cellars. Click the photos for larger versions. The framing for the bump-out to to create space for the Gilliland wine cellar. This framing allowed for about 80 square feet of wine cellar space. After constructing the addition, the entire area was sealed, vapor-barriered and insulated to maintain temperature and prevent moisture build-up (you can read more about building a wine cellar on the main site). The cellar is outfitted with insulated glass doors framed by a stone facade and opens into the dining room. Small wine cellars can pack a surprising amount of wine and interesting features into a minimal space. This cellar, designed to enhance the owner’s enjoyment of their collection rather than to store investment wines, is a perfect example of how a small wine cellar can be a big enhancement to a home. Ready to think about your own custom wine cellar project? Check out more Vintage Cellars custom wine cellars and call us for a free quote and design assistance. Vintage Cellars Featured in Wine Spectator! The Gilliland’s 750-bottle wine cellar in San Diego, completed in ’09, features large-format storage. More about the Gilliland wine cellar, including additional images. Michael Thiemann’s 4000-bottle San Diego wine cellar is the oldest featured–it was completed in ’03 and houses some lovely antique furniture in addition to wine. The Gerardy’s Escondido wine cellar holds 4000 bottles and has a gorgeous slate floor. Look for this cover to pick up the issue! You can pick up a copy at your favorite newsstand or wine shop to read more about these and other featured wine cellars. The article was split into sections on small, medium and large wine cellars, so it is worth a read for collectors of any scale. For more photos of custom wine cellars, flip through the slideshows on our custom wine cellar design page. Thinking of building your own? We offer free design consultations and can work with you from sketches to finishing touches. Manage Your Wine Cellar From Your iPad! 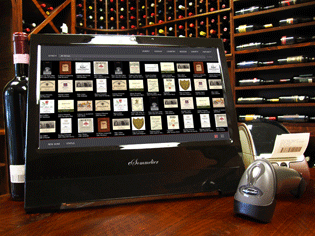 We’ve talked before about eSommelier wine management systems, a fabulous barcode-based computerized organization system for wine cellars, but they have recently announced some upgrades that really kick up the value of this product. One of those new features is the iPad access. eSommelier has optimized their web access for the iPad, so you can access your wine library on the go. If you save the “web app” as a favorite on your home screen, you have one-touch access to your wine library any time. Now, I don’t see any particular reason why this experience should be limited to the iPad–it’s a web app, which means that it’s actually not an app at all. Apps, in the usual sense, are downloaded software and can be dependent on the particular hardware or software features of an iPad. “Web apps” are more like a saved bookmark in your web browser (like the bookmark you have for the VC blog. You DO have us bookmarked, right?) and are mostly dependent on the web browser (in the case of the iPad, it runs in Safari). So this should work the same-but-smaller on an iPhone, although I haven’t been able to test it myself. Remember, web access also works on any computer! If you’re wondering when you’d ever use this go-anywhere access, consider the wine lover with over 1000 bottles in his or her cellar. When this wine lover goes shopping for more wine (because he was smart enough to build his cellar bigger than his collection! ), he can now take his virtual wine catalog along with him on his iPad. If shopping from the web, he can call up the wine library in another browser window and compare his collection to his potential purchases, saving him a trip to the wine cellar. Less hassle, fewer cellar door openings to let out your perfectly chilled air, and none of the discomfort that would come from doing your wine shopping from a laptop while sitting in your 55 degree cellar. Chilly! If you’re interested in other wine-related uses for your smartphone or tablet device, check out our technology and wine tag or the several posts on wine apps.